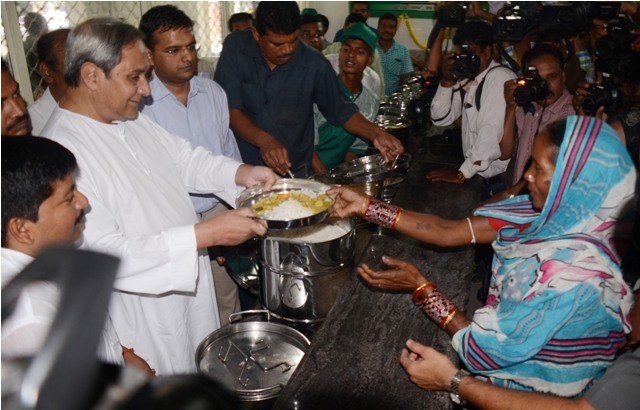 ONI Bureau: Odisha Chief Minister Naveen Patnaik has directed his officials to start ‘Night Meal’ or ‘Dinner’ facilities at all 54 Aaahar Centres operating from hospital campuses in the state with effect from January 1, 2019. Price of the Aahar meal will remain Rs 5. The decision would help people attending their relatives undergoing treatments at various hospitals. Earlier, only ‘Day Meal’ or Lunch facility was available at Aahar centres. The State Government will also open 32 new Aahar centres on January 26, 2019. It would also encourage participation of people by allowing them to donate money online wiith 100% tax exemption. People can provide food to poor on occasion of Birthdays, Weddings, Marriage Anniversaries and Death Anniversaries of their near and dear ones using Aahar facility. Currently, Aahar Centres are working in 76 urban localities. 32 new Aahar centres would be launched from January 26, increasing the number to 108.